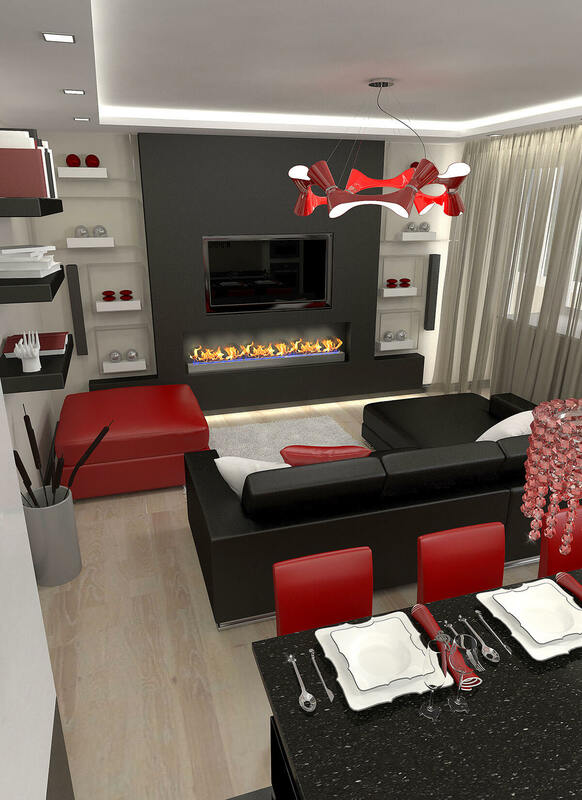 London 3D Design | 3d visualisation of kitchen and a front room, red, black and white interior design. 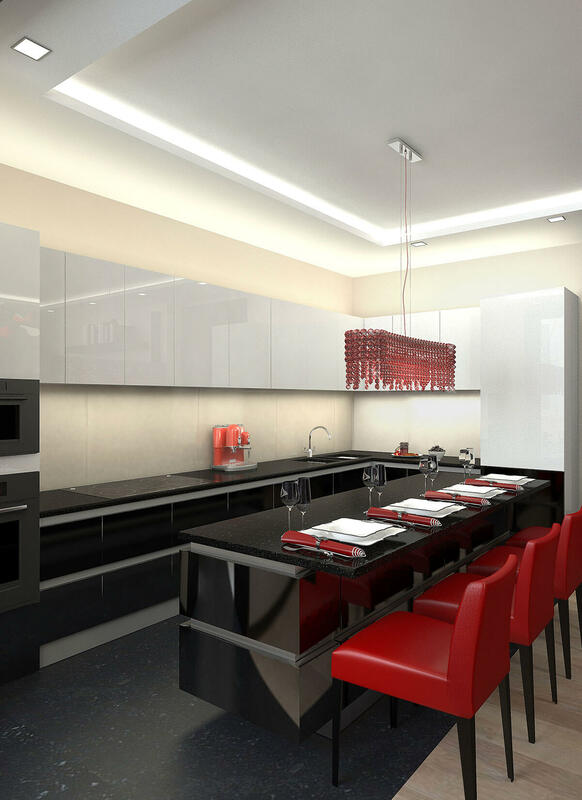 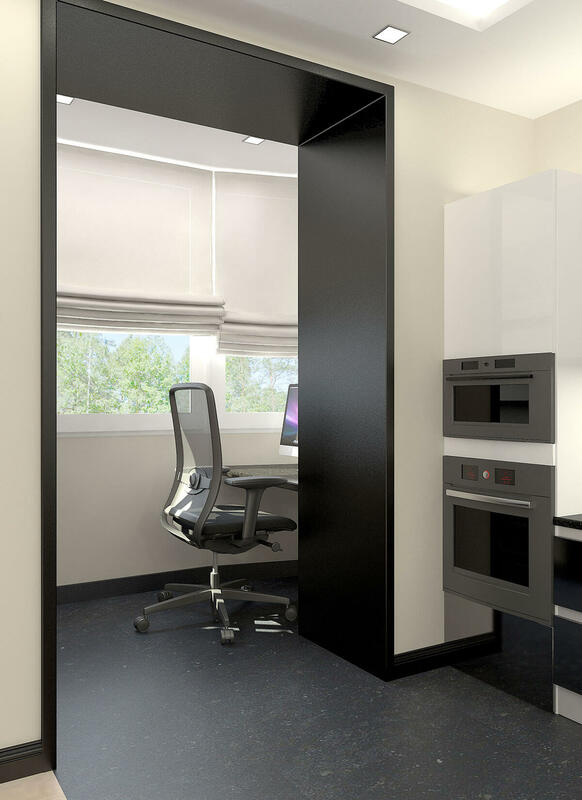 3D visualisation of an open space front room and kitchen. 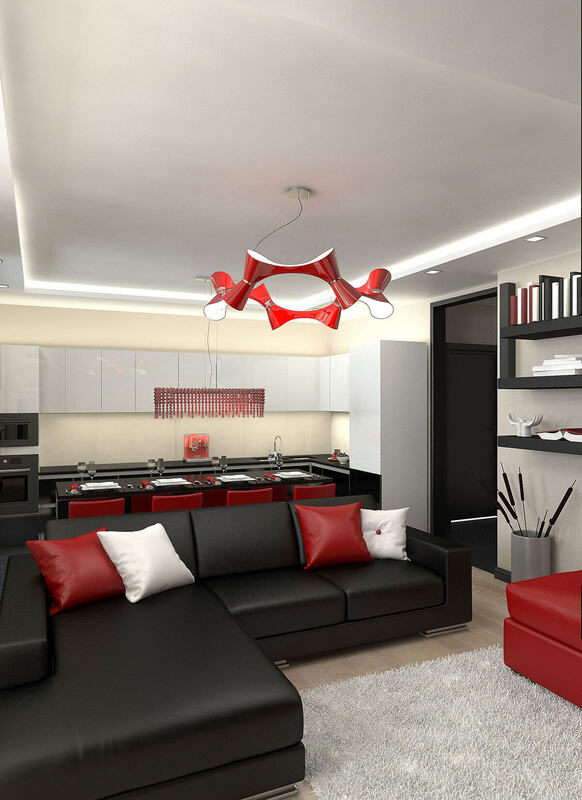 Classic black, red and white interior design.